ABU DHABI, UAE: PRNewswire: In a grand launch event at Ferrari World Abu Dhabi, Miral unveiled the new identity for the Yas Island destination. Designed to reflect the destination’s ethos, the new brand identity is a vibrant representation of an Emirati-bred, world-class destination that is home to a multitude of leisure, cultural, social, and business attractions suited for all audiences. The brand reveal marks the launch of the ‘Yas Dream’ campaign which invites visitors – past, present and potential – to share their Yas Dream. Being a destination that combines both fast-paced excitement for those seeking a thrill, as well as an ideal getaway location for those seeking ultimate relaxation, the Yas Dream is open for interpretation as to what each visitor loves most about the Island. With the hashtag #YasDream, the Yas community can share their favourite moments, say more about their experience, and recommend those experiences. Yas Island has recently announced that the summer of 2016 saw a record 50 per cent increase in visitor numbers to be its most successful to date. 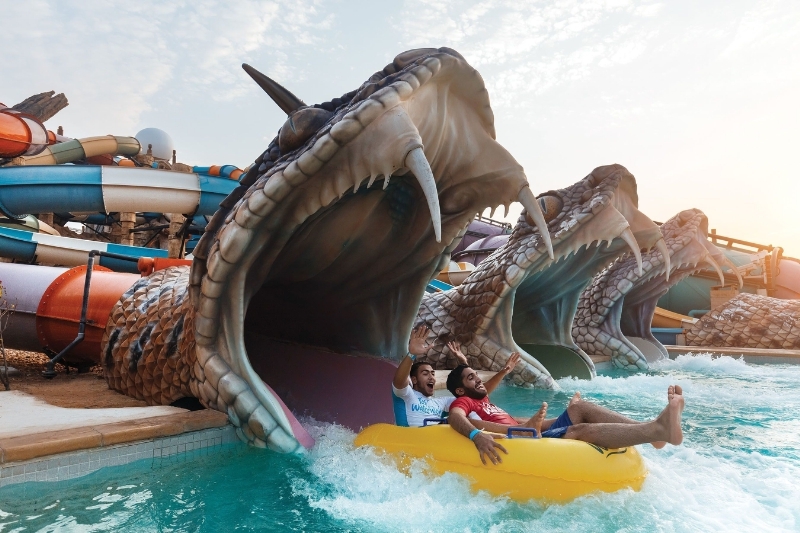 Yas Island has also revealed that over 600,000 people this summer visited two key island attractions, Yas Waterworld and Ferrari World Abu Dhabi. Miral is Abu Dhabi’s creator of destinations, uniting people and places through unique, immersive and exciting experiences. Responsible for the development and management of Yas Island, Miral’s assets encompass entertainment, hospitality, leisure, sport, dining, retail and real estate destinations. Today, Yas Island is home to Ferrari World Abu Dhabi, Yas Waterworld, Yas Links Golf Course, Yas Mall, Yas Marina Circuit, Yas Marina and seven hotels, including the flagship Yas Viceroy. Yas Island is a unique destination located on the golden shores of Abu Dhabi – just 25 minutes from downtown Abu Dhabi and 50 minutes from Dubai. A breathtaking island of diverse, immersive experiences and lasting memories, where families and friends, residents and business visitors can make the most of their precious time away. A world of experience comes together to combine stunning natural scenery with iconic design and high-octane glamour with laid-back family fun. Yas Island is home to Ferrari World Abu Dhabi, Yas Waterworld, Yas Mall, Yas Marina Circuit – famed for the FORMULA 1 ETIHAD AIRWAYS ABU DHABI GRAND PRIXTM – world class events and concerts throughout the year, as well as the Yas Links Golf Course. Along with the Iconic Yas Viceroy Hotel, the six international Yas Plaza Hotels are conveniently located in the heart of the Island. The Island boasts cutting-edge hotels, exciting theme parks, dynamic restaurants, anticipation of global stars taking to the stage, a links golf course, and the most cosmopolitan shopping mall housing the world’s leading brands and dining outlets. It’s also a destination designed for the diverse business community, with a number of event facilities to allow full engagement with guests. From superb conference venues to meeting and gala event facilities, as well as management services for MICE events, Yas Island combines business with leisure, allowing for a holistic experience. Yas Island is a place that’s full on life. Passionate. Powerful. Alive. Where the fun never stops. Where your dreams become the everyday. Where your sense of adventure is limited only by your imagination.